One experience. Windows on your phone. 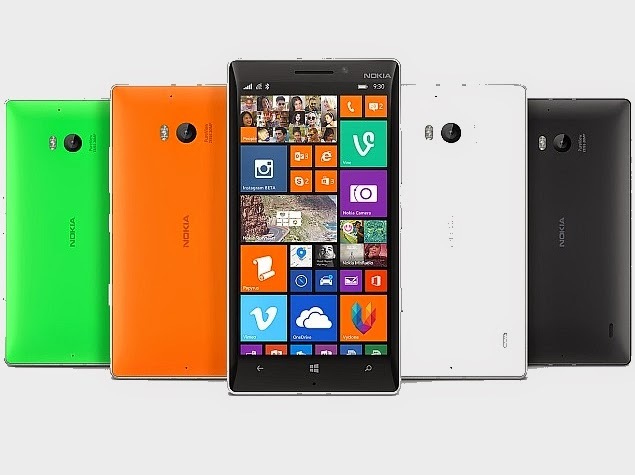 The Nokia Lumia 930 is a smartphone developed by Nokia that runs Microsoft's Windows Phone 8.1 operating system. It was announced on April 2, 2014 at Microsoft Build 2014 and is scheduled to be released in June 2014. The device is aimed to be a successor to the Lumia 92x line of Lumia flagship devices, the last of which was released during June 2013 as the Lumia 925. The Lumia 930 is essentially a version of the Nokia Lumia Icon, which is only available in the US and Verizon Wireless-exclusive. The two versions share design and specifications, the only difference being that the 930 is pre-loaded with Windows Phone 8.1 rather than the Windows Phone 8 operating system on the Icon. Some handsets experience heat and battery drain issues. Some devices do not allow setting Google as default search. Last updated on 31 October 2014 at 15:44.